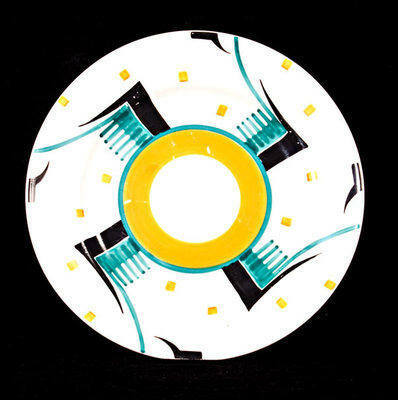 Plate by Susie Cooper in a Geometric pattern. Size is 6 inches wide. No damage or restoration. Few paint flecks and a bit of mild crazing. Has the Susie Cooper Triangle backstamp "Susie Cooper Production Burslem England". Price £95.